Hello, everyone! Welcome back to another update for the month of July. During this past month, I had the amazing opportunity (thanks to my family) to spend 5 days in Ocho Rios, Jamaica and stay at the all-inclusive and beautiful resort, the Moon Palace. At the tail end of our trip, we also made a stop in Florida to do some swimming at some of the most popular cities in the Sunshine state. Surprisingly, this was also one of my busier months in a while after I made a some adjustments to my eBay business. Results? Profits went up! Check out some cool pictures I grabbed and catch the latest update ahead! The Moon Palace looks just as good as it does here! The Moon Palace was an awesome experience. If you’ve never had the opportunity to try something all inclusive, let me be the first to say that it is extremely overwhelming but relaxing at the same time. You’re presented a ton of options to choose from. Picking which restaurants to dine at each day or deciding between which show or event you want to participate in since felt like such a chore sometimes. I barely scratched the surface of what was available to me. Playing a game of water polo with the family! One experience that we booked through the resort that I was extremely excited about was the Chukka Tour. 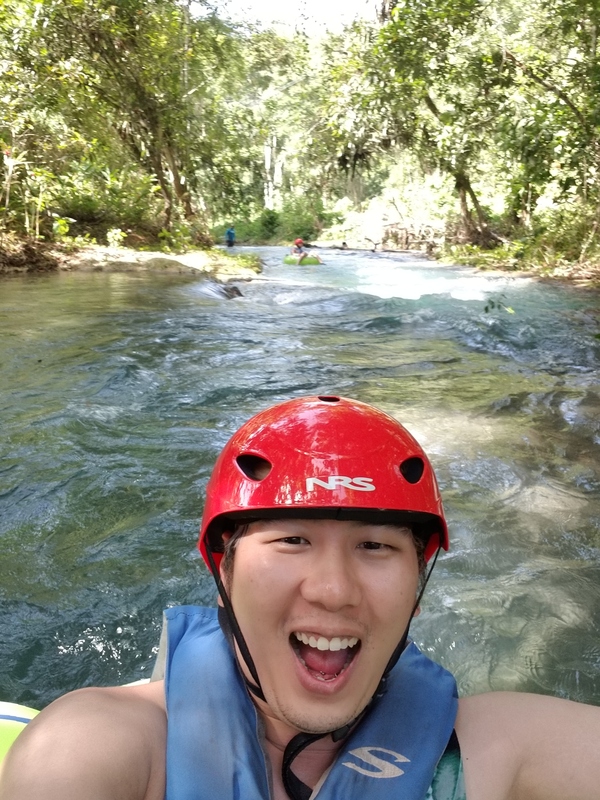 Here, I got to participate in some cliff diving at a spot called Blue Hole, go river tubing down the White River, and zip-lining through the jungle! Grabbing a selfie while heading down the White River! I recorded a 7 minute video of the adventure and will post it on my YouTube channel as soon as I get the chance! 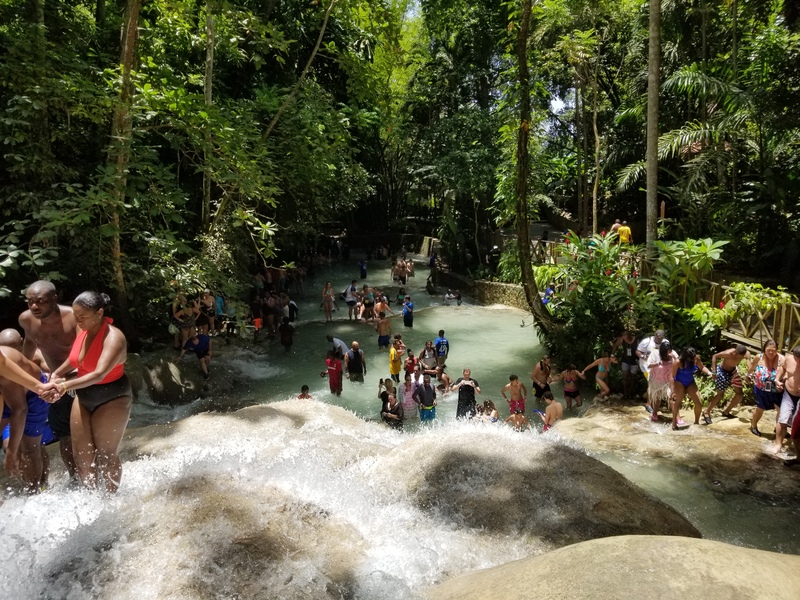 We also stopped by the Dunn’s River Falls and did some waterfall climbing as a family! Our family preparing for the next part of the climb. You can see the individuals ahead beginning to link arms and hands to make the epic ascent! This was challenging but a ton of fun to do. You really gain a sense of trust for your other family members as they’re all trying to hold on together and not fall over. About 2/3rds the way up the Dunns River Falls! The view gets better the further you climb! Made it to the end of the falls! Congratulations to my family for accomplishing this together! 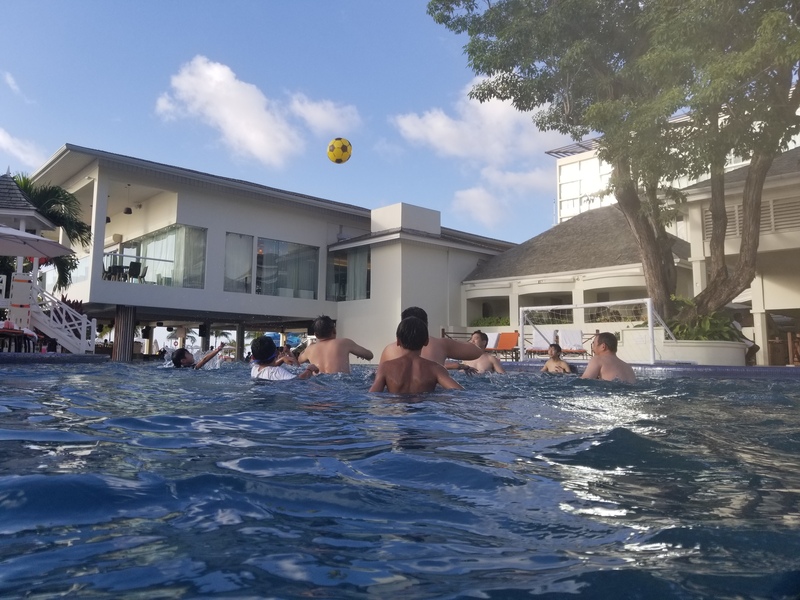 The Moon Palace was definitely an interesting place to be, but to really fully experience the country of Jamaica, you need to get outside of the resort and the tourist attractions. I’d definitely like to take at least 1 more visit to this resort sometime in my lifetime to at least see what I had missed but besides that, on to Florida! 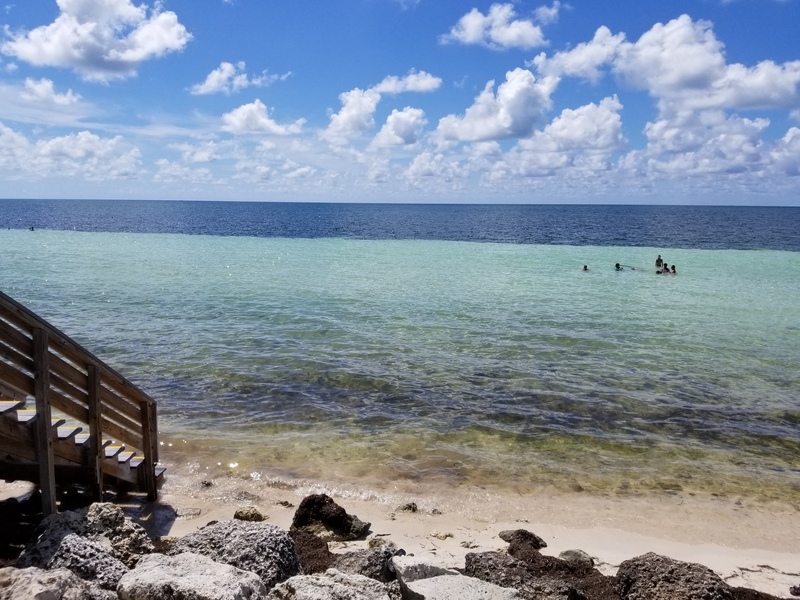 We landed in Miami, rented a car, and roadtripped down south to hit Key Largo and Key West where we got to swim in their many beaches and experience some of Florida’s finest seafood and dining options. My brother put on my mom’s hat and she said he looked like a vendor, so I handed him some beef jerky and snapped this photo! The drive down to the most southern part of the US took a total of 6 hours, but we managed to finally make it after a pit stop on the second morning. One of the beachfront stops next to Florida’s Overseas Highway that runs through the state. I wanted to grab more photos of the food we ate out here, but it was mostly just Vietnamese food because my family had gone without it for an entire week. It felt just like being back home in California when we had some pho again. I wasn’t mad! Grabbing a photo with my one of my brothers before grabbing some seafood for the night. We matched that day! Hahaha. I really wished I had more to share about Florida, but we barely got to spend any time here since the majority of it was spent just driving through it. Next time, I plan to make a solo trip out this way and experience the state more. Goodbye for now! Now that we’re all caught up with the trip, let’s jump into the income report! After not having the best month in June, I knew that something was up with my business. Profits weren’t increasing and actually started to plateau. I ended up consulting with some of my amazing mastermind partners and decided to test some new strategies for the business, including using new sources, repricing, restructuring some of the backend of my business, and some basic advertising. I doubled the amount of sales from the previous month! As a result of providing excellent customer service (and getting 1 negative feedback into a neutral) and understanding the mentality of the buyer, I was successfully able to maintain a 100% feedback rating for the month of June. Very pleased about this accomplishment as it validates that I’m providing a valuable service and that buyer’s are happy! If you’d like to learn more about how you can start your own dropshipping business, be sure to check out David Vu’s Udemy Course on eBay Drop Shipping with No Inventory. If you’re looking for additional assistance outside of the course, some of my amazing business partners (who are absolutely crushing it in the business right now) and myself also provide additional eBay store analysis and consultation services which you can learn more about at eDropshipEmpire.com. Cashback has been coming from TopCashBack and GivingAssistant this month as they are still the best overall websites to use for my business due to my sources. Ebates also makes a small appearance this month as we start to move away from our current suppliers and on to newer ones. If you haven’t started using free cashback yet, be sure to check out my article on how I made $2000 shopping online. Bonus free cashback available ($5-$10) for new sign-ups after purchase! Did you know you can even earn cashback now with in-store purchases? You can even stack them with Credit Card Bonuses like I do to earn miles / points! Check it out! Affiliate /other income this month was up and down. 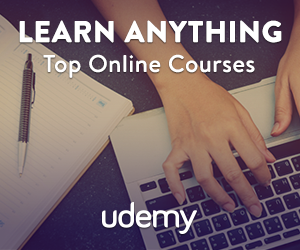 A bulk of the Udemy profit came at the end of the month, but the gift cards helped me carry me through. I’m excited to continue growing my website, my YouTube, and putting out more content to grow my brand in general. Can’t wait for you guys to see what I have in store! As a dropshipper, one of the places I recommend as a back-up source in case you’re out of stock is Amazon. Being able to ship an item out to yourself or your customer with free unlimited 2-day shipping can make a huge difference in your life and your business. If you’re a gamer like me, you even get Twitch Prime for commercial free viewing along with bonus goodies and free subscription to any Twitch.TV channel every month! Last month, I managed to hit my profit goals, but fell slightly short of the listing goal of 8000. My Virtual Assistant has gone back to full time listing so we should see us hit our numbers at 8500 listings for next month. As far as the profits, I have set a higher goal of $3000 for now, so let’s see if the business strategies we chose stick and help us hit this mini goal! I will be attending the Entrepreneurship for Artists Mastermind hosted by my good friend Chi Szeto of iDanceAcademy. Excited to learn and network with other successful business owners in their respective fields! RSVP here if spots are still available! Last year, thanks to my good friend Harry Kong, I had the opportunity to attend this amazing event and experience what it felt like to go sideways in a drift car! Make sure to check out the event on the 12th! It’s free to attend! Wonderspaces is a pop-up art museum that is currently located in San Diego featuring several pieces from around the world. For more information, check out Wonderspaces.com. Super excited to check this out! Thanks as always for reading. Love you all! Until next time!